In most middle and high schools, elective courses are offered to students to supplement core classes (English, math, science, history). You may even remember electives as your favorite subjects in school. Did you master the art of photography in a dark room? Perhaps you developed culinary techniques in home economics? 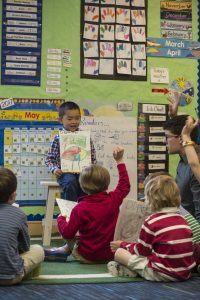 Research suggests that it is important to introduce electives at an early age, which is why Fessenden’s Pre-K and Kindergarten programs offer courses called “specials” to our youngest students. We place an emphasis on core classes—which are taught by homeroom teachers and include literacy, numeracy, and social studies. But we also acknowledge the importance of supplementary classes that extend beyond traditional academic offerings. 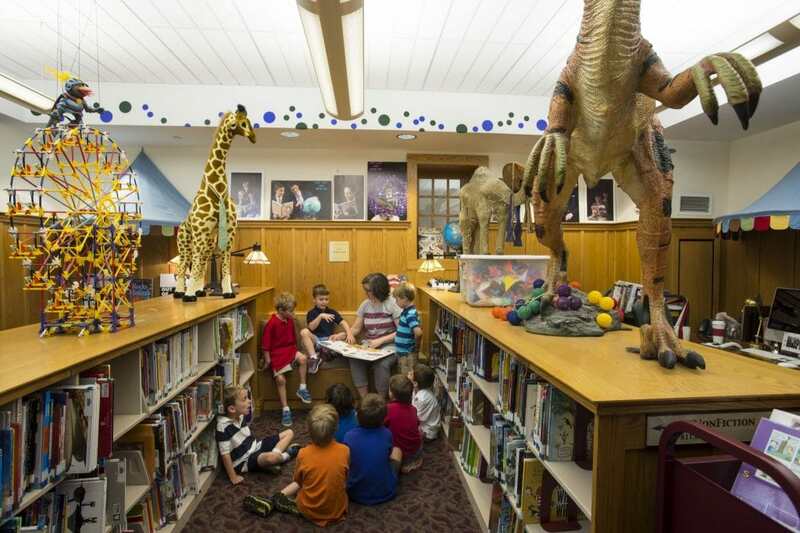 Throughout the year, children are introduced to music, art, science, physical education, Spanish, and library/technology. Not only do students receive hands-on experience in these areas, they receive instruction from experts in each field. How Do Specials Come Into Play on an Average Day? The typical Pre-K day begins with playground time and morning meeting, where we settle in with a song and focus on having a positive day. Boys then transition to classroom activities that mix core classes with specials and a healthy dose of movement and play. Throughout the day we, of course, build in ample time for rest, snacks and lunch, and recess. We find that specials complement and enhance core subject areas. These classes offer students an opportunity to become even more engaged in learning and to go beyond the daily classroom experience. 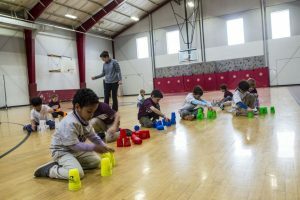 Our students travel to our arts center, for example, which can have multitudinous cognitive benefits, including movement, confidence building, and feeling like a part of the larger Fessenden community. What Specials Are Offered at Fessenden? At Fessenden, we embrace “science by doing,” a philosophy that aims to capture young boys’ innate curiosity. We encourage them to ask questions and provide them with opportunities for hands-on inquiry. Learning how to use the library and proficiently accessing information through books and the Internet are key skills for students. We match resources to units of study in the classroom and select reading books based on genre focus, reading level, and interest. Educational technology is integrated throughout the curriculum. Students learn how to navigate various devices and software applications and apply what they learn to their work in the classroom and beyond. Our goal is to help students understand how to utilize technology appropriately as way to augment learning. What were some of your favorite specials or electives as a child? What types of specials have your child been most excited to explore? ‘Play is the Work of Childhood,’ but is it Beneficial?